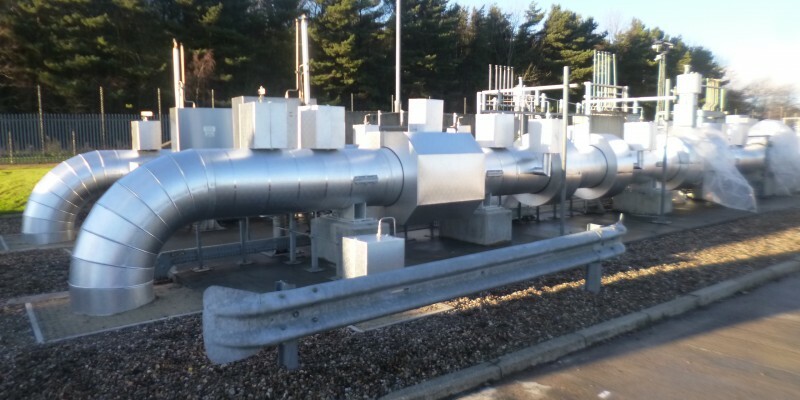 Insulation works carried out at Bishop Auckland Compressor Station, Autumn 2018. The photo shows the completed works. The specification for this project was 50mm Crimp wrap with a layer of acoustic barrier & then enclosed in stucco aluminium cladding.